H by Hudson 'Renzo' Men's 1960s Mod handcrafted suede loafer shoes in black. 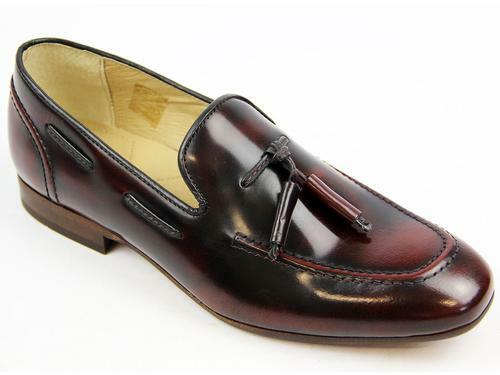 Featuring a soft suede upper, this Retro loafer silhouette also benefits from Vintage gold trim to the apron. A cool play on the traditional Penny Loafer style, 'Renzo' from H by Hudson takes inspiration from the Ivy League look, blending classic loafer traits with a contemporary Indie slimline style. 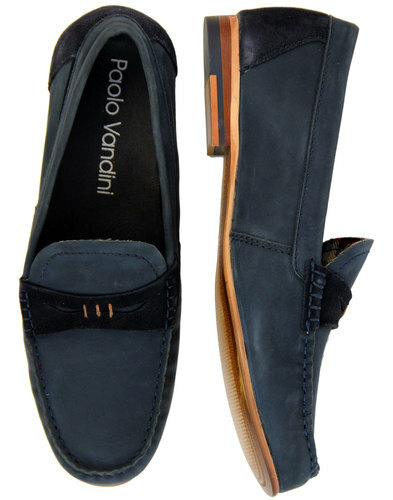 Sophisticated Mod loafer shoes that can be dressed up or down as desired - The 'Renzo' Suede Loafer from H by Hudson. 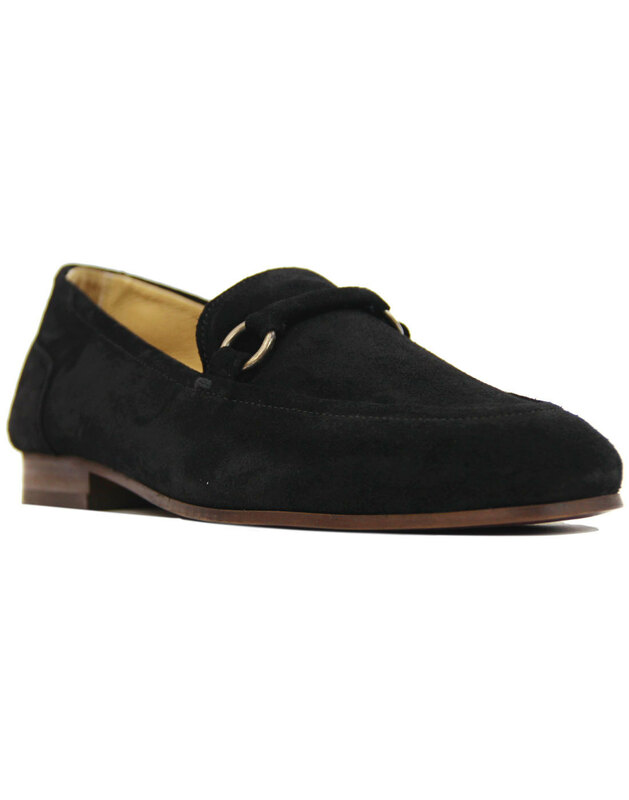 - H by Hudson 'Renzo' men's 1960s mod suede loafers in black. - Retro gold ring detail to the apron. - Soft suede handcrafted style. 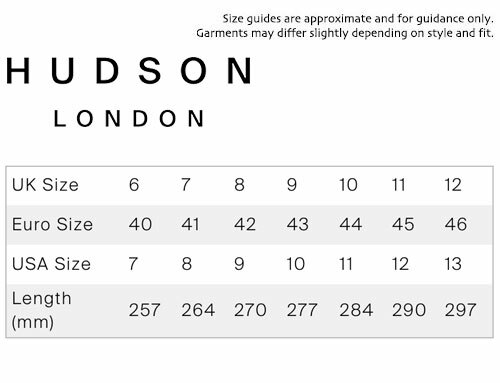 - Tonal stitch with slight moccasin upper. 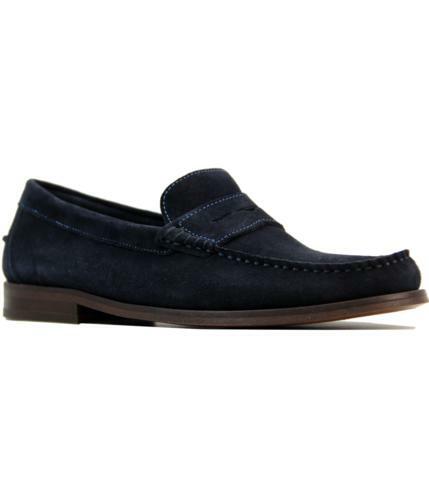 - SKU: Renzo Suede Loafers. 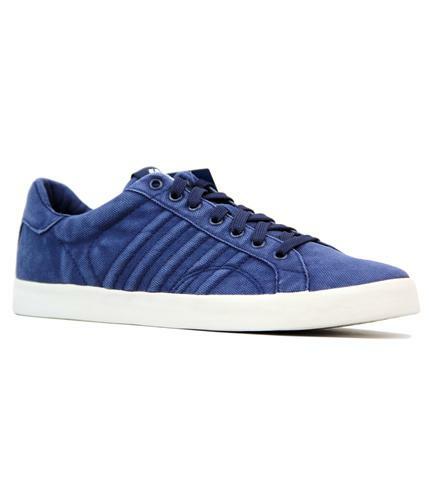 Composition: Suede upper, leather lining, other outsole.